Hello there! First of all I want to thank everyone who gave me direction on my Grand Calibur issue. You were all very encouraging, positive and helpful. Thanks so much! I ended up being replied by customer service through email, and Karen Haas, who has helped me with any questions about purchases before, told me they would send me a new handle free of charge. That’s right! You girls helped me keep it together! Do you like it? Never thought I would rescue an old card and like it in the present. Because usually we develop a ‘better’ style through the years and end up not liking our older cards. But this one I like a lot. Let me know what you think. And would you rescue an old project of yours? This is a bright and pretty beauty! I love that flower! Amazing! Thanks for joining us again at Craft Hoarders Anonymous for our very first challenge! Your support means the world to us! another beautiful creation!! Thanks so much for playing with us at Craft Hoarders!! Love the yellow and turquoise combo…beautiful flower! Thanks for playing along in the very first Craft Hoarders Anonymous challenge! Oh, Graciellie, what a beautiful card! I love your colors and that beautiful flower! I'm so glad someone helped you with your Grand Calibur! They are wonderful, and they do have wonderful customer support! So glad you've joined us again this week for the ODBD Shining the Light challenge! Hugs! This is another gorgeous card Graciellie! 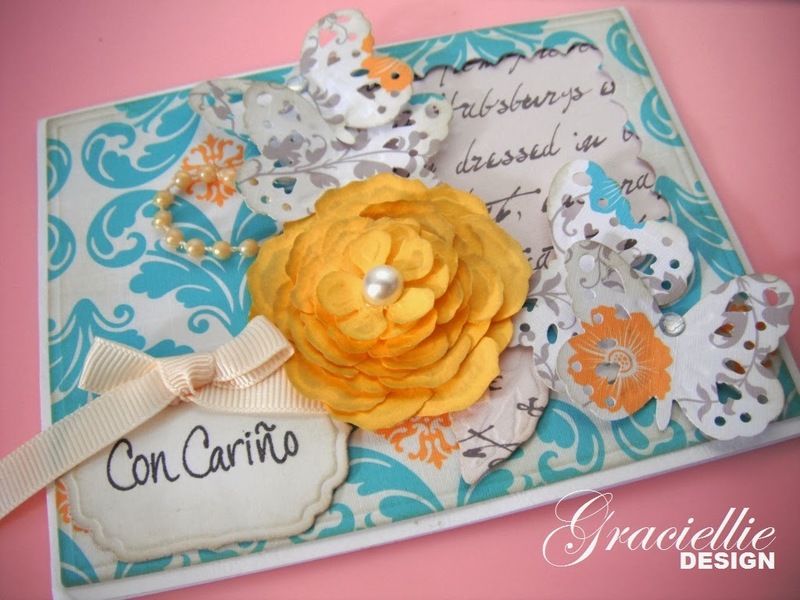 I love that 3d flower with the bright color and your color combo and texture!! Thanks for joining us again at the ODBD Shining the Light challenge this week!! 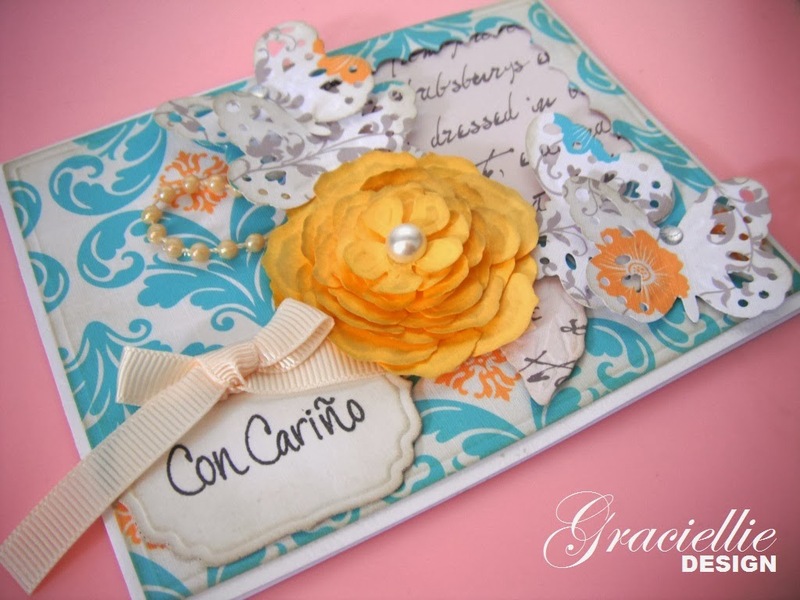 Beautiful card, love your gorgeous flower…Thanks so much for joining us for our very first challenge over at Craft Hoarders Anonymous! Love the color combination and that gorgeous flower, plus the layers! Beautiful work and shows your consistent style over the years! 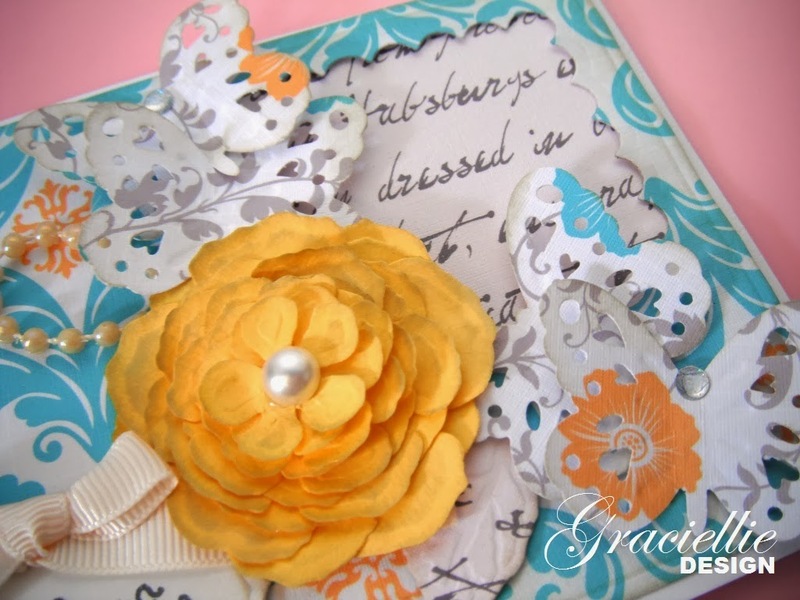 Thanks for sharing your style with us at Craft Hoarders Anonymous! So thankful you are going to get a replacement handle! Thanks for sharing your lovely work with us over at Jellypark Friends this challenge. Good luck in the draw! You just keep cranking them out! Another pretty card! Thanks for joining us at Craft Hoarders! What a refreshing card. It just speaks Spring. Great job at recycling, or should I say recreating. 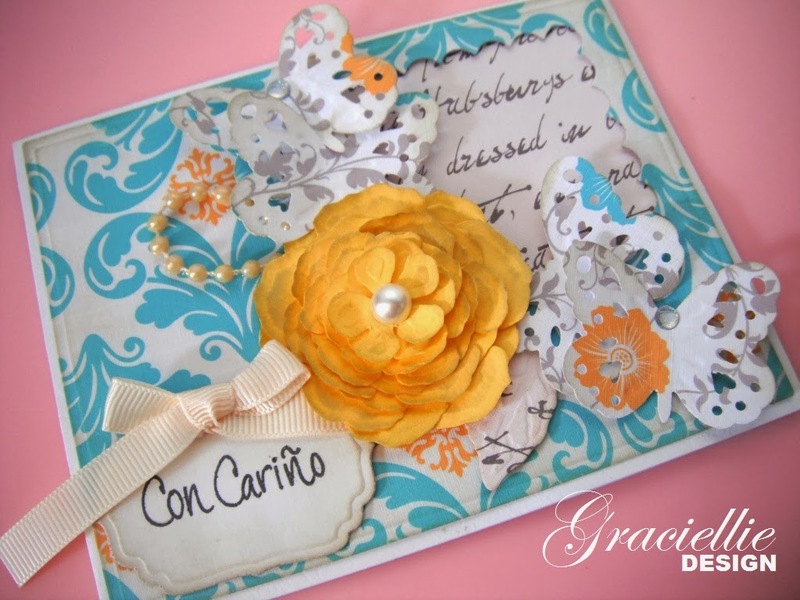 Beautiful card, I love the butterflies!! Very cute card and the window is rather interesting. Glad you rescued it. Thank you for visiting Mema's Crafts and playing with us. Come again real soon. Very pretty. Thank you for joining us at the Fairy's blog challenge this week. I hope you will join us in our next challenge. Very nice card, thanks for playing along with CHAC!! Whoa, this beauty was worth being rescued! Love the colors, design and textures! Just beautiful! Thanks for joining us at ODBD! Definitely worth the rescue. The colors are gorgeous, and stands out from any other Valentine card. Beautiful job! Sometimes I find cards from when I first started crafting and I always want to re-do them, do I think it's worth it? Sometimes yes, because you learn new techniques that can only enhance it. TFS!! Mahalo for linking up to our Aloha Friday Challenge #16 at KBD! Gorgeous card with lovely unconventional colors…thanks for joining us at Melonheadz Friends! The colours and the flower are wonderful. Good to use something up instead of chucking it out.